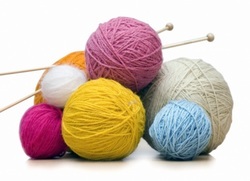 We invite all knitters, crocheters, those folks interested in learning to knit or crochet and those folks who just want to come and chat to join us in Room 6 at 12:30 pm on the first and third Tuesdays for a time of fellowship and fun. The group currently is working on a prayer shawl ministry. ﻿F﻿or more information, contact Ginny Miller (642-9651).